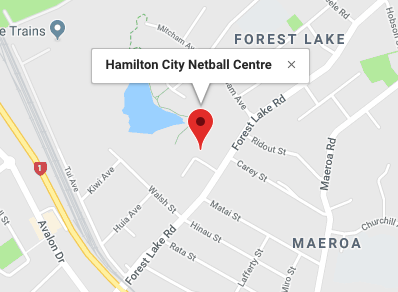 Congratulations to all those who have been named in the Hamilton City Netball Centre Representative Squad for 2019. Atlanta Bruce, Caitlyn Parrott, Chloe Carr Paterson, Chloe Davis, Ellis Watson, Emma Wilke, Emma Ruske, Erin Tickelpenny, Erin Fobbester, Isabella Reid, Ivari Christie, Kayla Vette, Lily Carr Paterson, Lucy Gordon, Mackenzie Foster, Maddison Oliver-Coffey, Mandi Portegys, Matire Ormsby-van Selm, Melissa Bowkett, Phillipa Hokianga, Sophie Waddell, Sophie Reeves, Tayla Bentley, Teeshan Kottaiya, Tess Millar, Valendra Nicholas, Waiata Jennings, Zxy Cullen, Alexis McClennan. If you are selected to Represent Hamilton City Netball Centre in this team please note the following obligations and read the full Representative Team Policies and Procedures before committing. All players must commit to all training sessions, workshops and all other related activities arranged for the squad/team for the current season. All players must be able to play at the Netball NZ U17 Champs, to be eligible to trial. This includes food, accommodation and travel to attend the Netball New Zealand U17 Championships in Auckland. The team will have opportunities to do fundraising to help with reducing costs. All players must be financial to both their school, club and HCNC. All player fees are due 2 weeks after the final teams are announced, unless a payment plan has been approved by HCNC. Raewyn has a wealth of experience, having coached netball for the past 17 years. She is a dedicated Coach and has been with Trust Waikato Hamilton City Netball for the past 9 years. In 2018 the HCNC Under 15 B team which Raewyn coached, Won Gold for their grade at the North Island under 15 Championships. Raewyn is looking forward to another great season.